The excellent new vermouth by Carpano, the first since 1786. “Carpano Dry” is the name of the new Carpano Vermouth. It has a drier taste and a lower sugar content than the other vermouths. The product has its origins in the history of Carpano, enriched with the experience of the Branca brand in the choice and use of the raw materials. More Indeed, the most valuable Italian wines are chosen to make this vermouth, helping the finished product to maintain its organoleptic properties for a long time, thanks also to the purification and standardization stages and rigorous quality controls. Among the officinalis plants, the wormwood used in the Carpano products is grown in Italy and gathered in unpolluted mountainous areas making it more expensive due to the difficulty in to procuring it and its popularity among producers. More One particular ingredient of Carpano Dry is Dittany of Crete: a herbaceous plant from the island of Crete which gives the product the typical sapidity so valued by barmen. Carpano Dry is identified by its distinctive quality ingredients that, like the other Carpano products, characterise the most well-known cocktails, thanks to the prestige of the “First Vermouth”. 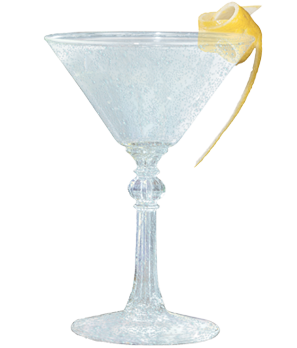 Carpano Dry is a clear coloured Vermouth, yet vibrant and bright like platinum. And just like platinum, Carpano Dry maintains its characteristics over time, thanks to the distinctive ingredients in its recipe and the quality of the Fratelli Branca Distillerie production processes. More Its aroma is characterised by a balanced and well-structured, yet not overwhelming richness of scents: candied fruit, spices, coriander, incense, lemon essential oil. It is the “winey”, slightly acidic taste of the Vermouth that comes through initially, followed by an interesting fresh, balsmic note which lingers as an aftertaste: citrus fruits and green apple. Alcohol content: 18%.